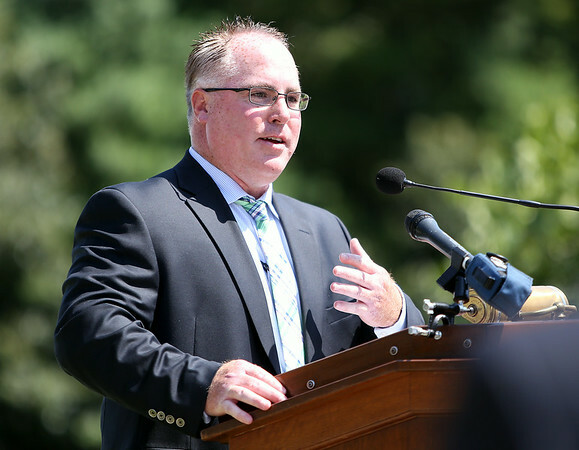 Endicott College Director of Athletics Brian Wylie speaks during a groundbreaking ceremony for the new ice hockey rink at Endicott College, which will be named after legendary Boston Bruins defenseman Ray Bourque. Bourque and his family, as well as former Bruins teammates were there to take part in the groundbreaking ceremony. DAVID LE/Staff photo. 7/29/14.